Some days feel like we’re merely going around in circles. Stuck on a ride going nowhere, up and down, slow and fast. It is especially in these very moments, we are growing the most, transforming into what we are called to be to enter what will follow. Patience, persistence, perspective and perseverance mixed in with a strong sense of humor are required to thrive and learn the lessons before us. 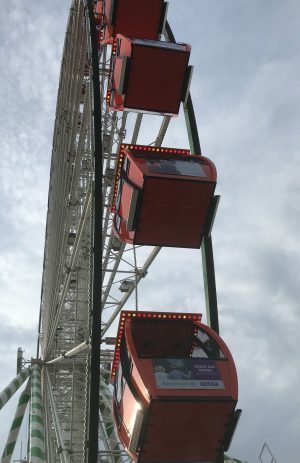 No moments or days are wasted no matter whether on a roller coaster twisting and turning at great speed or a ferris wheel going slow and easy. Enjoy the ride. Today is a page in the book of you that is being written. Never surrender the pen. Write your story.